Weight loss and healthy living are some of the most common resolutions and goals that people set for themselves. However, even with a healthy diet and lifestyle with regular exercise, some people may still have pockets of fat that just don’t seem to respond to exercise or healthy eating. These pockets of fat are most common on the stomach, love handles, and outer thighs, although they can appear in other areas as well. Unfortunately, many people are genetically predisposed to gain weight in certain areas, and once it’s there it can be extremely difficult to lose. Here at Cosmetic Laser Dermatology, our expert San Diego dermatologists are experienced in all the latest body contouring treatments to help you achieve a better body shape that matches your healthy lifestyle. We offer liposuction for the face and body as well as non-invasive options, such as CoolSculpting and Vanquish. To learn more about these treatments and to schedule your consultation, contact us today! Liposuction (also known as liposculpture) is one of the best and most effective means of contouring the body. Liposuction can achieve a dramatic reduction in fat that isn’t possible with non-invasive options, and when performed by a skilled, experienced dermatologist, it is very safe with minimal downtime and side effects. At CLDerm, we perform tumescent liposculpture with micro-cannulas, which is done under local anesthesia and dramatically reduces recovery time as compared to traditional liposuction done with a large cannula under general anesthesia. Liposuction will require a longer recovery period than non-invasive methods, but it can achieve the best results after a single procedure. You can expect to see full results from liposuction only after around six months, but you will notice a difference even before that. Liposuction can be performed on the body as well as the chin and neck area. CoolSculpting is one of the most popular non-surgical contouring devices. It uses innovative cryolipolysis technology to “freeze” and destroy fat cells, leading to a 20-30% reduction after one treatment. CoolSculpting is FDA cleared, involves no downtime and minimal side effects, and has proved to be extremely effective. We are also proud to announce that we also offer DualSculpting, which is where we use two machines at once to cut treatment time in half! CoolSculpting is good for multiple areas of the body, including the abdomen, love handles, bra fat, banana roll, thighs, and since 2015, the chin as well! The CoolMini applicator, which is designed to reduce submental chin fat as well as small, hard to treat areas, such as the armpits and knees, was FDA cleared in recent years and is very popular. Kybella is an FDA approved injectable treatment for chin fat. Using a series of injections of deoxycholic acid, Kybella targets and destroys submental fat cells, leading to a significant improvement in chin and neck contour. Kybella requires a series of treatments for optimal results, but downtime and side effects are minimal. We recommend having Kybella treatments done over the weekend just in case you experience swelling on your chin. This swelling dissipates fairly quickly, but many people do not want to go to work while swollen! Vanquish is one of the oldest body contouring technologies available, but it has recently undergone an upgrade to become more powerful than ever. 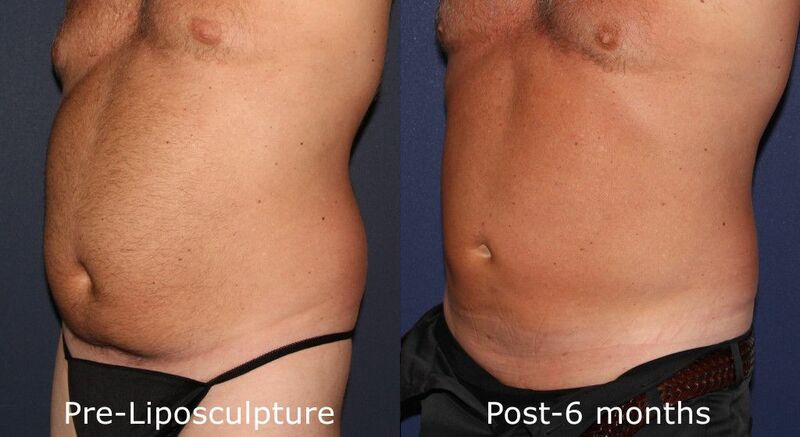 It uses radiofrequency technology to heat and destroy fat cells, leading to a reduction of stubborn fat pockets. Vanquish is cleared for use on the abdomen and thighs, and is a great option for the right candidate. Vanquish involves no recovery time and minimal side effects. The treatment itself is comfortable, with most patients feeling nothing more than a warm sensation. Results from Vanquish appear gradually over the course of several months.